I bet a lot of you are "trying to be good," right now, keeping resolutions and eating all those dark leafy greens. But you still like to party, right? Me too. Adulting is hard, but I'm here for you! This recipe is a little bit naughty and a little bit nice. 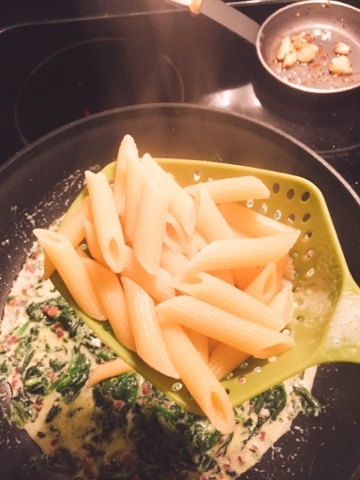 It's our go-to pantry pasta when I don't have meat thawed or a dinner plan, as everything except the garlic comes from the freezer or pantry. It also has the benefit of being extraordinarily delicious, which is not something I say often about something that contains (gasp!) packaged ingredients. Please don't send the salt police after me. I would never survive in jail. So first of all, the whole key to making this dish ridiculously delectable instead of a mundane pasta plate is the spicy garlic oil. 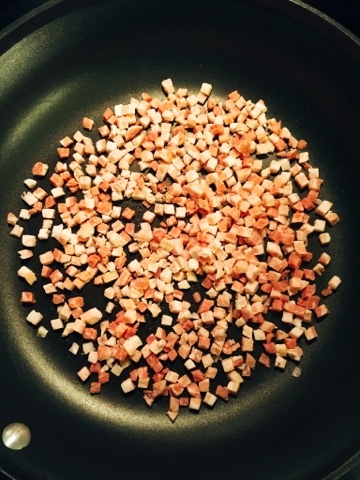 Get your garlic, red pepper flakes, and olive oil into a small saucepan over low heat and just let it hang for at least 20 minutes before you start the rest of the cooking. 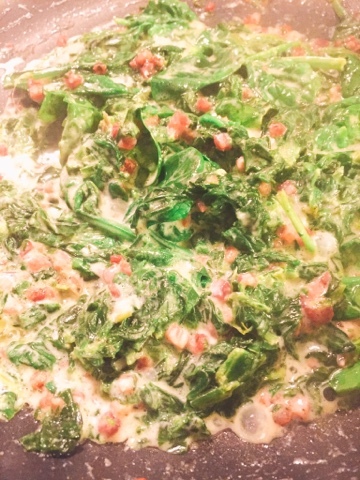 Go walk on the treadmill or do jumping jacks in that time, and then you won't feel guilty about the pancetta! 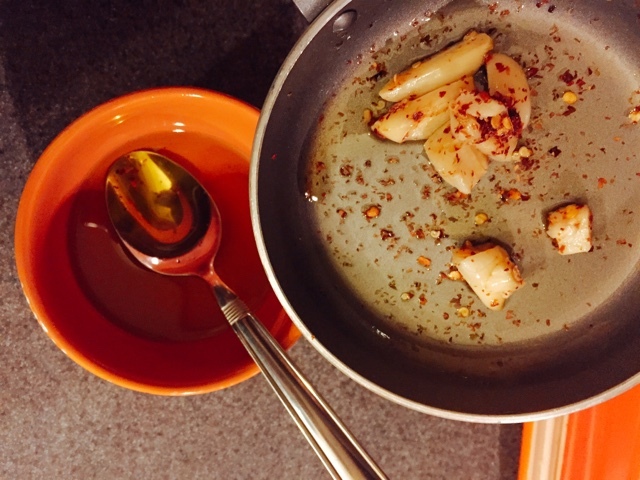 Once the oil is infused with all that flavor, put it through a strainer and set the oil aside. 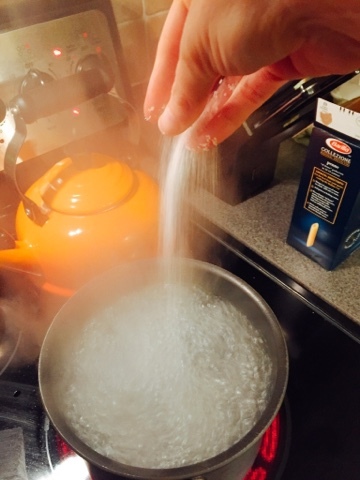 Then get your pasta on to cook in plenty of salted water, for about 12 minutes. 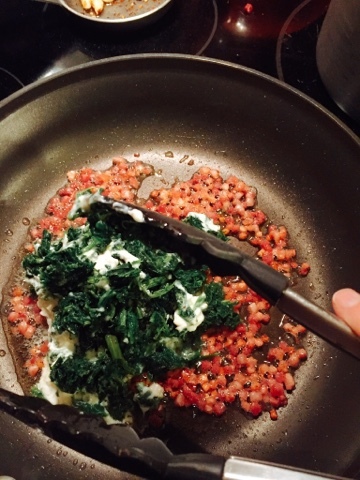 In a large skillet, cook the pancetta over medium heat until crispy. 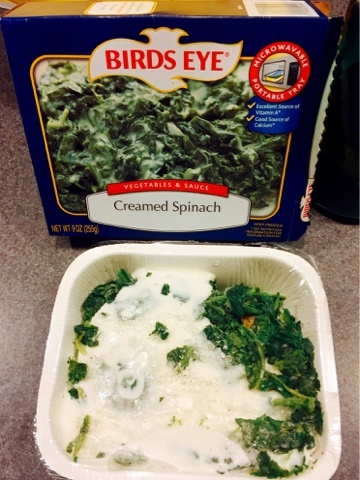 Zap the Creamed Spinach for a minute or two in the microwave just to loosen it up enough to pour over the crispy piggy parts. 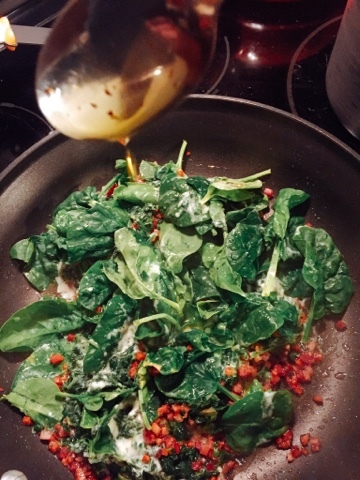 If you're adding more fresh spinach, do so at this point and incorporate it so that it wilts down. 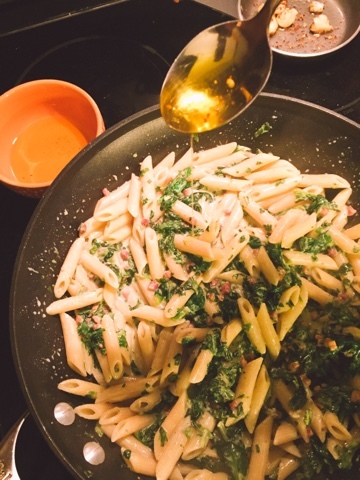 Take this opportunity to spoon a little of the garlic oil in at this point. 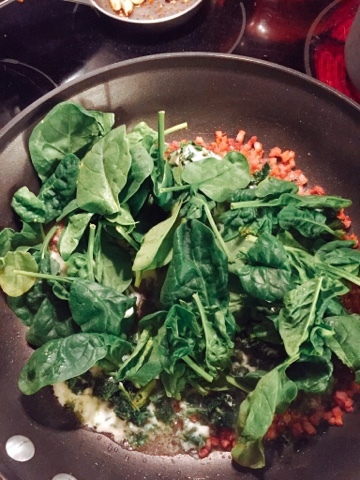 It will facilitate the cooking of the spinach and bring all the flavors together. Check the pasta. Is it nearly cooked through? Good. Add it to the pan after draining, but reserve some cooking liquid for adjusting your sauce in a minute. What time is it? Show time! Wait, it's actually cheese time. Sprinkle in your romano, then give it a taste. Does it need more umph? Add some more of the oil. Sauce too tight? Add in a scoop of pasta water and stir. 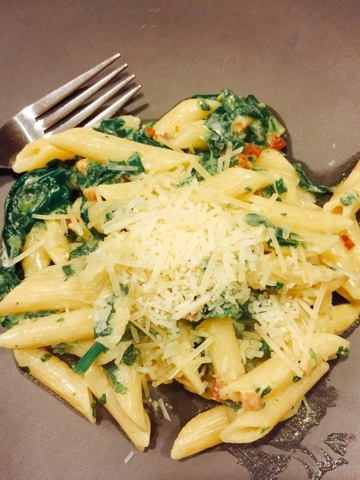 Sprinkle on some Parmesan once you plate up several big spoonfuls and enjoy! Please ignore my ugly hand. 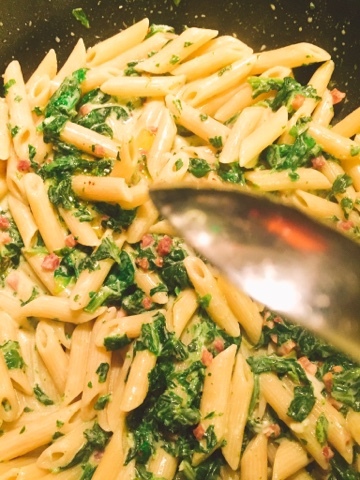 But enjoy this rich, satisfying, hearty pasta filled with greens as soon as you can! I wish I had a more positive revisit to share, but we had dinner at the Adams Country Club a few weeks ago, and it was not great. Ok, it wasn't even good. These fried mushrooms tasted fine, but for $8, nine or ten mushrooms is not much. We ended up ordering two portions for the five people in our party. 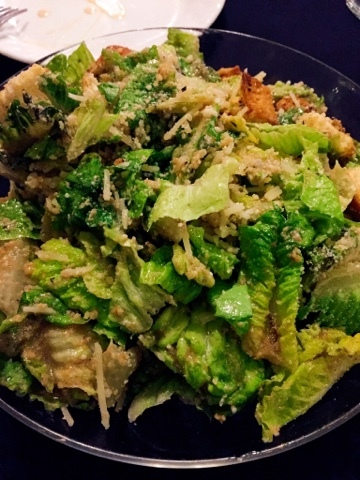 This Caesar salad was actually pretty good: plenty of parmesan, salty umami goodness with the perk-up of lemon and crisp greens. I wish I had ordered this as my entree. 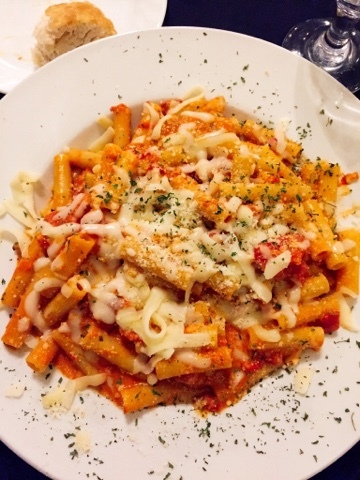 I ordered the pasta special of the night, which was penne alla vodka with chicken. The weirdest part of the dish was that chicken: it was two whole breasts, sautéed instead of grilled and cut up into bite sized pieces throughout the dish. Was I supposed to cut up the chicken in the bowl, with all the pasta getting all messed up and splashing all over the table? You know what, I was so disgusted by this token of kitchen laziness, I just decided to not eat it altogether. It was impossible. The injustices of this dish didn't end with the oversized chicken, though. 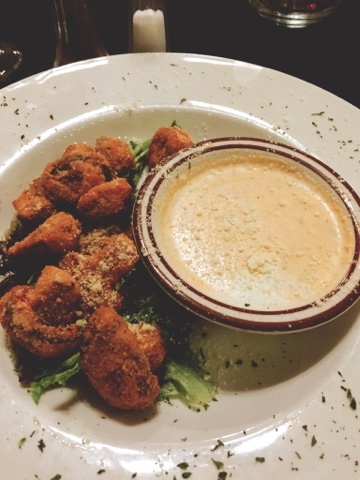 The sauce was bonkers for something called a vodka sauce. Classically, this sauce is bright with tomato flavor that is slightly mellowed by cream, with depth and richness from the cooked-down liquor. This sauce didn't have depth, complexity, or creaminess. It was extremely one-dimensional, which immediately told me it wasn't built as a sauce should be. It had that artificial flavor you get with a cheap jarred sauce. 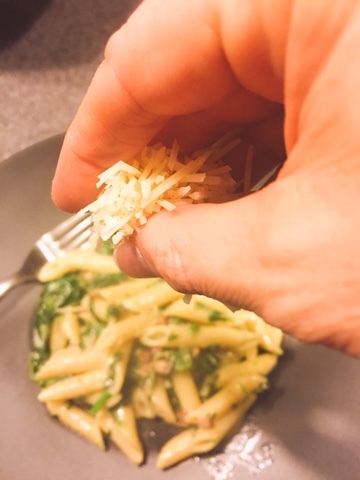 The final nail in the coffin: rubbery, block mozzarella shreds topped the dish rather than an aged parmesan which could have added much-needed salt and nuttiness to this gloppy, flavorless mess. Let's look at my homemade pasta again to cheer us up, shall we? I'm not saying there isn't good food to be found at Adams Country Club, but I'm not likely to return, and I was sad to note that the cooking had gone downhill so steeply since I reviewed it for the WDT in 2015. So, that's it for me this week. I'm working on a review of the new Core + life Eatery in Vestal, and there will be a post about Corning coming soon! My hunger is big; my personality is bigger!